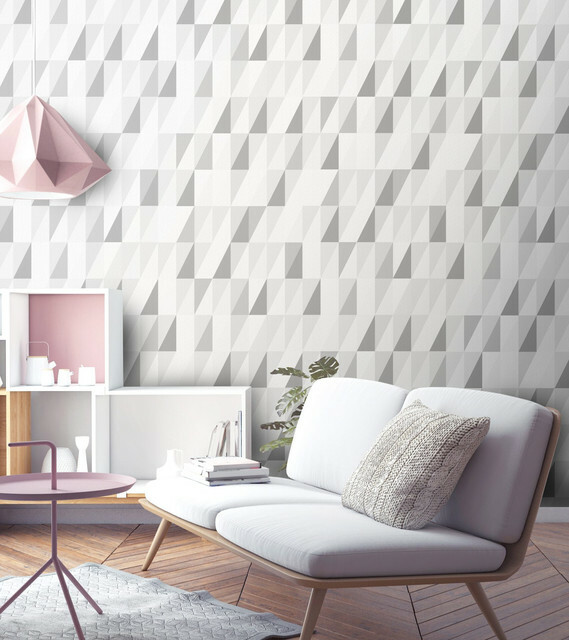 Modern wallpapers have opened a whole new world of decorating interiors. Today’s technology is influencing how we work, communicate and now, inspiring new ways to create the products we use in our homes as well. One specialty area of Sensory Six is applying the best technology to provide clients with living spaces that are both highly functional and contribute to health and wellness. Wallpaper has not only become easier to put up and remove, but the design choices have become limitless. A painted feature wall adds impact, color, and character to a room, but wallpaper can take your look to a whole new level. Sensory Six brings elegant, luxurious and simple style into your living spaces at home and at work. Pattern and texture have been used in wallpaper for many years, but now there is a new breed of photo-realistic wallpapers representing the latest interior trends. Interested in the industrial look? You no longer need to get bricks, instead, choose from one of the very convincing and stylish brick wallpapers. Or, if a clad timber wall in deep charcoal is more your style, you can easily install some wallpaper, providing the perfect backdrop for your pieces of furniture. Natural textures and finishes such as sisal, jute, paper yarns, and seagrass provide elegant, textural additions to your home and have the environmental tick of approval. Geometric designs have been popular in wallpapers for many years, with the humble vertical stripe proving to be the most enduring. Although colors and geometric designs may change and adapt over time, the interest and vibrancy they bring to a room is one of their ongoing appeals. Current trends lean towards larger-scaled versions of geometric designs, allowing them to make a clean and strong impact in a room. Our design philosophy, “21st Century Zen™”, is focused on modern, calming, organic, sophisticated and luxury. Wallpaper with a metallic detail or finish is the perfect way to bring that wow-factor to any room. Metallic provides a great play on light and create a mood, so they work particularly well in a master bedroom that needs some interior design rescuing. There’s plenty of choice, ranging from strong “look at me” designs to those with a subtler personality. Metallic wallpaper will be giving interiors all over the world an effortlessly luxurious edge, with its bright yet warm, fashion-forward yet cozy look and feel. Wall murals: strong, bold, geometric, floral, and more. Murals are a very modern way of incorporating large high-quality images in your home. With one application, a wall mural can completely change the look and feel of a space. How about incorporating a photo of the Eiffel Tower for your fashion-forward daughter, or a stunning whale’s tale to really pack a punch down the hallway? 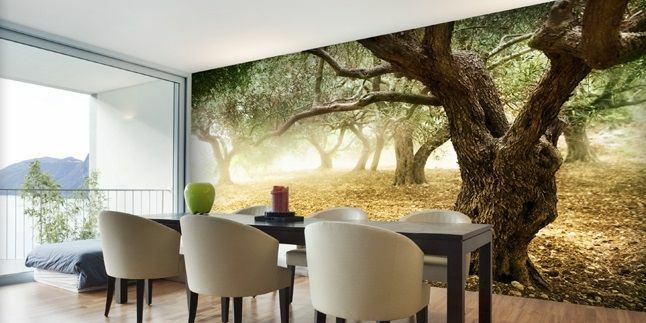 The impact and power of a wall mural elevates the experience to something amazing. A Sensory Six home design incorporates a sense of color, texture, lighting and art that will delight all your senses. Searching for a conversation piece for the dining room? Look no further. Murals are also a great way to bring the outside in with beautiful landscape shots of nature and major cities around the world. 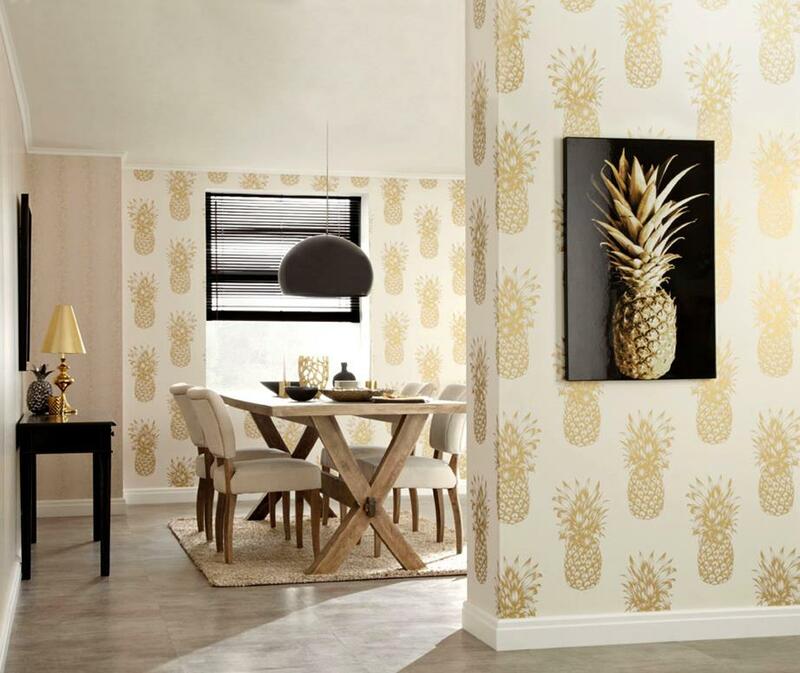 Wallpaper continues to be a popular choice when it comes to decorating. It can add instant color and impact to any interior space. 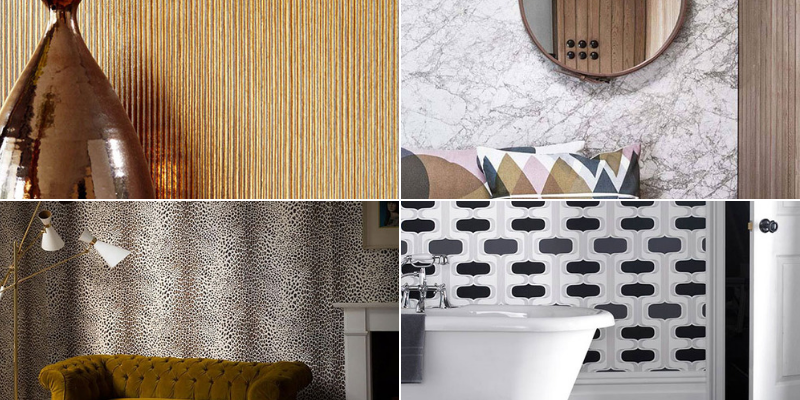 But with so many designs and wallpaper trends available, how do you choose which one’s right for you? Sensory Six will work with you to translate your vision into reality through a thorough assessment process that focuses on your needs and tastes. Contact us at Info@SensorySix.com and learn how you can take your interior to a new level!